If you think about it, considering all these different options and orders, there are literally dozens (if not hundreds) of different 30-second commercials for you. So do not stop at just one. Rather select a handful of the ones that you feel are the most powerful for you and where you are the most comfortable saying them. Go with these. Refine Them: Your 30-second commercials are always a work in process. You should look for ways to update them, make them more clear or better represent you. It is good to have an effective 30-second commercial, but it is even better to have more than just one. Think about it. There are lots to what you do and there is no way you can convey it all in 30 seconds. So, have different commercials to convey various things. Also, consider that no two people are the same and no two situations are the same. Thus, it only stands to reason that you have different messages to fit different situations and people. Plus, if you consistently say the same thing, eventually what you have to say becomes “white noise.” So do not fall into the trap of having a “one size fits all” commercial. Here are some considerations for developing some variety in what you have to say. First, as I indicated earlier, develop a variety of Message Bodies … In some settings be informative or educational (at a stodgy business after hours) … In some be flippant or amusing (say at a holiday party) … In others, you might consider something with a little shock value (where you really want to grab some attention quickly). Next, there is more than one reason WHY people should refer (or use) you, so share a different piece of confidence or credibility building information from time to time. Think about it. What are the things that uniquely qualify you to be their best option? Perhaps there are things the set your company apart and those things attribute to you by association. Maybe it is the process you use. Each of these can lead credibility to you in a particular situation … It is important to know how and appropriately insert that one in your 30-second commercial. (Whether it’s you, your company or the process you use). In addition to using different ways to establish credibility, you can ask for different things in your 30-second commercials. Depending on the setting you can outright ask for people to refer you clients … Or you might find in a situation that you are best served to ask for connections to strategic partners (accountants, attorneys, etc. )… Or you might determine that it is most appropriate to ask for information (such as details on networking events, job transition groups or background on people). The point is that this is another way in which you can create some diversity within your 30-second commercials. Finally, in addition to changing the MESSAGE BODIES, relying on different things to establish CONFIDENCE and altering the REQUEST, you can also switch up the order in which you execute the framework. The above framework is a suggested guide. It is not an ironclad rule of thumb, however. Lead with something to inspire CONFIDENCE or perhaps your strong definite REQUEST or even an amusing MESSAGE BODY. Now clearly articulating WHO you are, WHAT you do and WHY you are uniquely qualified is nice however. In a sense, it is like having a souped up car with no wheels. 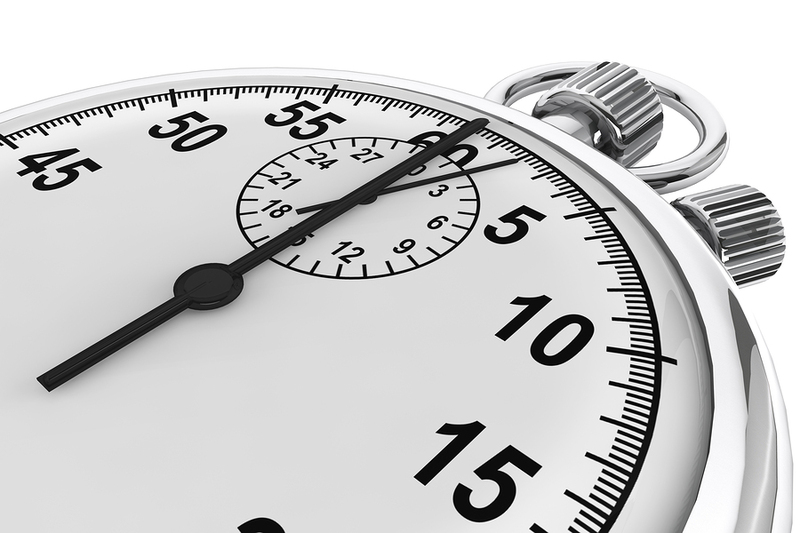 To complete your 30-second commercial, you need to clearly state WHAT it is you need. Now I hear lots of 30-second commercials and many of them have a weak finish. This is because they have a wimpy ASK or request. The best way to illustrate this is through an example … An example of what not to do. Do not make your HOW statement something like, A good referral for me is someone in transition or not happy with the direction of their career. Rather, here is a better example. The main difference between these two, is that the second has a “call to action.” If you see or know of this, please send it my way … Or give me their number … Or invite them to my seminar. Who would a prospective franchisee prefer to work with? Just anyone or someone with this background? The answer should be obvious (at least the question was intended to be rhetorical). The point is that Inspiring Confidence (answering the “WHY you?,”) is vital to your 30-second commercial. There are a few options to the basic introduction (as discussed in part 3), it is largely void or creativity right? That’s okay, because you can more than make up for it with the Message Body. This is essentially the heart and soul of your message and you can approach it from lots of different angles … You can INFORM the person or EDUCATE … You can even AMUSE or STARTLE them to get the point across. While you might be sitting there saying, “there is nothing to what I do.” Certainly, what you do may seem like basic vanilla, what you need to give yourself credit for (and convey in your messages) are all the different WHERE’S and HOW’s you do what you do. With that you, can add some creativity to your message body. • Get out of an apartment. • To have a bigger house. • To have a second house. • To have a smaller house.